Whilst HubSpot supports hundreds of thousands of business’ marketing, sales and services activity worldwide, you can't just purchase the tool and hope it'll do everything for you. HubSpot is a tool and platform that can drive exponential growth, yes, but to get the most out of your HubSpot investment you also need to be ramping up your other marketing, sales and service activities as well. 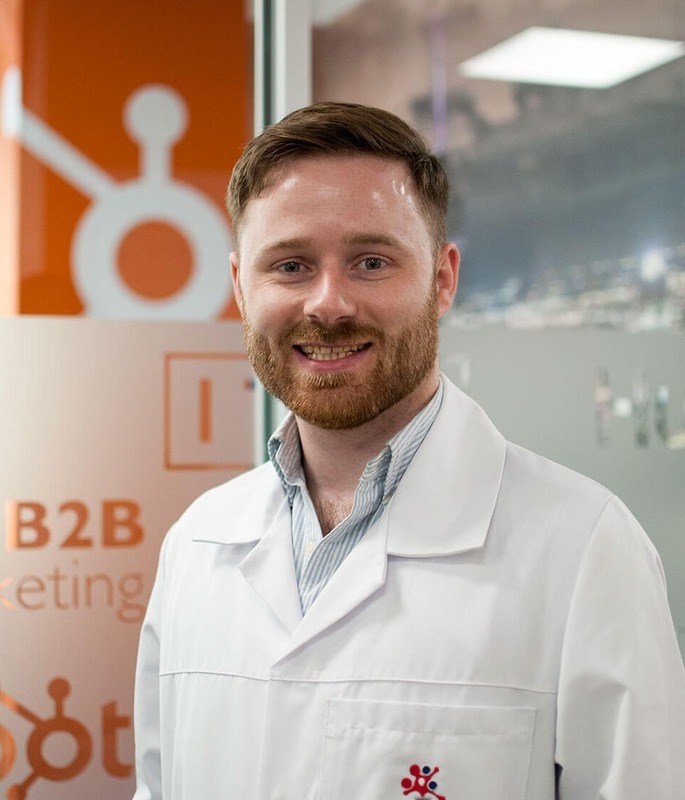 As an Inbound Marketing Agency, as well as helping our clients to get the most out of HubSpot, we also run an array of different activities and services alongside it. This blog will break down the many services we offer that will complement your HubSpot investment and ensure you are utilising it to its full potential. Paid search is a marketing method where you pay for your website to appear in the paid advertising sections of search engine results. It involves bidding on terms that your prospects would search for and using them to create targeted advertisements. For example, if your business sells HR software, you could bid for the term 'HR software'. Anyone searching for that term would then see your website advertised in the paid advertising section of the search engine results page. As you pay-per-click with paid search, it's important to target high intent search terms - i.e. terms that indicate someone is ready to make a purchase - to maximise returns. Targeting terms that include "buy" or "purchase" and branded terms, i.e. the name of your product or service, will ensure that you generate qualified traffic - in other words, people interested in what you have to sell and are intent on making a purchase. That said, the more competitive the term, the more expensive it is to bid on, so conducting comprehensive keyword research is key. Paid social is essentially sponsored content or advertising on social media channels. You pay to display your content on a social channel to a specific target audience. Done correctly, paid social allows you to reach new audiences and people who don't follow your business directly. LinkedIn Ads are a great example of paid social. Using LinkedIn ads, you can target contacts who work at specific companies, or those in a particular city with a certain job title. PPC works on the basis that you pay per click received, so obtaining high-quality leads for the lowest cost-per-click is where you want to be. With social, intent to buy is often less than that of paid or organic search but qualification is high - you can target very specific audiences and find new ones. We can help you manage specific aspects of your paid search and paid social activity via the paid ads tool in your HubSpot portal, as well as directly through social media platforms. If you want your website and content to be found by interested parties, ensuring it is search engine optimised is crucial. Every piece of content you create should be search engine optimised. Doing so will give it the best chance of being found by interested parties and ranking on results pages. It's also important to consider search intent. SEO is great because it's essentially free, qualified traffic - if you target the right keyword terms, i.e. terms based around the problems your prospects have and the products and services they are looking for to solve those problems, you can generate high-quality leads for free. PPC also ties into this as a method of reinforcing your SEO strategy. If you rank for these specific terms and have ads appearing for the same or similar terms, it helps you to establish authority on Google and stand out from competitors. We can help you by making sure all your pages, blogs and websites are optimised for search engines, helping to increase organic traffic to your website. SEO management and strategy is a key part of our service provision, and we do it for a number of our clients. Our support includes everything from small optimisation tweaks to SEO management for large enterprise websites. We can optimise your website and content, as well as manage your SEO strategy, directly through your HubSpot portal. Creating, posting and amplifying content on a regular basis can be a difficult routine to get into and stick to, especially at a larger scale. But to generate interest and leads, content is absolutely vital! As an Inbound Marketing Agency, we have a team of content specialists who are well-versed in writing fresh and informative content. The team creates everything from blogs and video, through to in-depth marketing research reports and eBooks. Our team has set processes in place to ensure that content is created in line with your business' tone of voice and messaging. This includes interviewing you and spokespeople to come up with ideas and pin down key points. Learn more about creating content to generate leads. Bringing in leads and new business enquiries via your website is the one thing, but being able to manage them is something else entirely... and isn't always straightforward. Before any HubSpot implementation, we run lead management workshops with our clients to ensure both sales and marketing activities are aligned and streamlined. In these workshops we'll help clients to draft a lead management process document and help set up and automate the lead management process in their HubSpot portal. Buyer personas are another key aspect of a marketing campaign and should be on your to-do list long before you log into your HubSpot portal. Building buyer personas and documenting them can help you and your company to understand who your ideal customers are. By creating detailed buyer personas, your marketing and sales teams can start to create and promote content and campaigns that address the pain points of specific personas. We run comprehensive buyer persona workshops, which include helping you to identify your target audience and build buyer persona documents, as well as ensure they are utilised throughout your marketing and sales activity. Find out more about buyer personas and how to use them. Is your business struggling to generate the quality and quantity of leads required to hit business goals? We can help. By utilising a variety of tools in your HubSpot portal - including smart content, landing pages, calls-to-action (CTAs) and others - we can improve the lead generation capability of your website and increase the number of leads it generates. We can also delve into your website analytics to understand how website visitors are engaging with your website and use that information to optimise web pages accordingly. Using this approach, we can make sure your team receives a consistent stream of qualified leads to connect with, which in turn will help you to grow your business. Being strategic when it comes to content creation is half the battle – there’s no point making content without strategy. As an Inbound Marketing Agency, we can help you to devise content strategies that focus on creating content that delivers value. If you create content without purpose, without strategy and without buyer personas in mind, then it will become part of the noise online and generate no value for your business. Your business needs to create helpful, educational and high-quality content that will help demonstrate your industry knowledge in order to attract website visitors. However, you will also need to ensure that you have consideration and decision-stage content that you can use to follow up with and nurture leads to a point of purchase. Without awareness, consideration and decision-stage content, you’ll struggle to convert leads into paying customers. First of all, goal setting is so important in all sales and marketing activity. Why? Well, if you don’t set a goal for an activity, how will you know if it is successful or not? You need a goal that you can measure success against. To ensure we can measure success, we run goal setting sessions on a quarterly basis. This ensures that everyone knows what they're working towards, how activities will be measured and how we will achieve the set goals. Next, we set up reports to be able to successfully measure our success against our goals. All of our reports are meaningful and action-based as we use data to make informed marketing and sales decisions to help improve activity. Regularly reporting on activity means we can make the right decisions to aid your business’ success. When HubSpot was founded it was purely a marketing tool. Though it was powerful, it didn't include any sales or customer service tools. Today, all of these tools exist within the platform and assist each other. 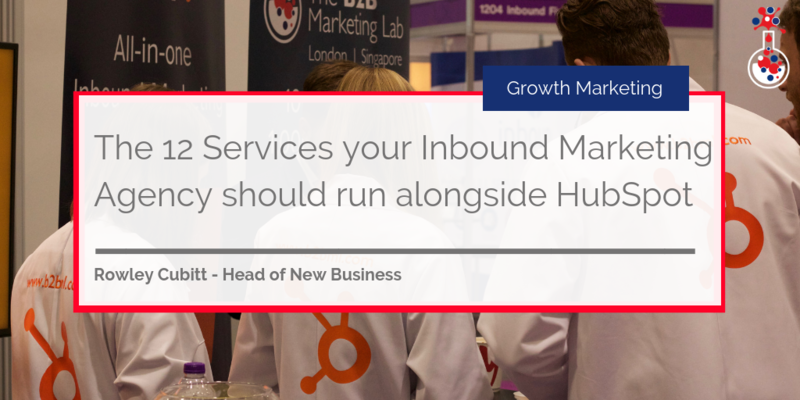 With HubSpot now, your marketing team can provide valuable information to your sales team, enabling them to sell better, whilst your customer service teams can gather quality information from the marketing and sales tools in order to better service and retain customers. Having all of these tools in one platform helps your teams to work together and grow your business. Social media is a great way to promote content and keep your customers informed, but you may not always have time to thoroughly monitor these platforms. In addition, making sure that all new content is being promoted across all of your main channels is another challenge. It takes time to draft and schedule social media, as well as monitor its impact. That’s where we come in. As an Inbound Marketing Agency, we have years of experience running social campaigns across platforms, such as LinkedIn, Facebook, Twitter and Instagram, to improve the visibility of your business and help increase lead generation. If you are currently considering whether you need a blog or not, you do! Not only is a blog a fantastic way to communicate with and educate your target audience, it also helps to grow your website, increase its ranking on Google for specific target keywords, and improves its overall domain authority. Our specialist writers can help you blog regularly, which is an essential component of your content marketing strategy. Blogging helps you to address the pain points and questions your prospects have, as well as position your business as a credible source of industry information. Case studies are critical in demonstrating just how good your business is at what it does. In the content creation section, we focused on making sure you have awareness, consideration and decision-stage content on your website, and case studies form a large part of consideration-stage content. Case studies are great pieces of content to use when following up with leads, but they aren’t always easy to create. We understand this, which is why we’re experts at creating them. We not only liaise with you to build the foundations of the case study, we also communicate with your customers to get quotes and statistics signed off, as well as involve stakeholders in the process to ensure a smooth transition from initial creation to sign off. HubSpot is a fantastic tool that will help your business thrive, but neglecting to invest in these other services will prevent you from experiencing all the benefits HubSpot - and Inbound Marketing - have to offer. For more information on setting up the tool, see here HubSpot Setup. You can use all of the above services individually - but to get the best possible results, running them all in conjunction is far more effective. Combining these services allows you to create a nurturing pathway that takes someone from a website visitor to a lead, a lead to an MQL, an MQL to an SQL, and finally, a paying customer. Want to take advantage of your HubSpot portal and elevate your business? Get in touch to find out more about the services we provide and what your business needs to grow by clicking below.